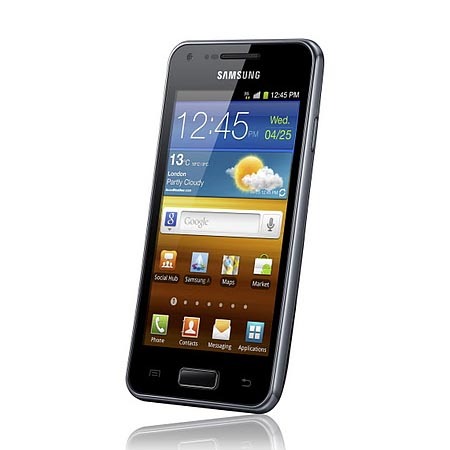 Today Samsung announced a new Android phone: Samsung Galaxy S Advance. If you’re considering about a high performance smartphone, let’s go on checking the latest addition to the famous portfolio. 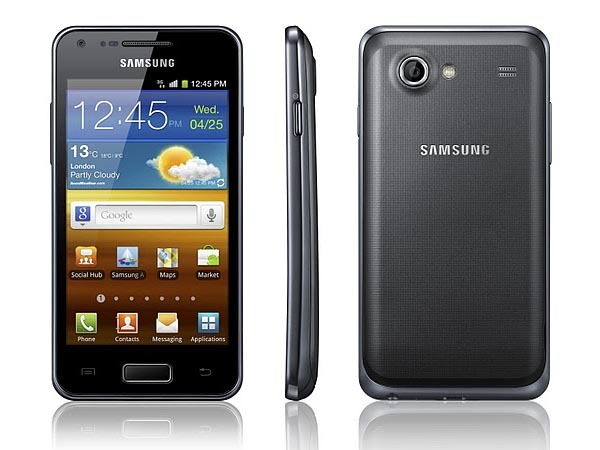 Samsung Galaxy S is an Android powered smartphone that measures 123.2 x 63 x 9.69mm and weights 120g. The smartphone runs under Google Android 2.3 Gingerbread mobile operating system, and features a 1GHz dual-core processor, 768MB RAM, 8GB or 16GB internal storage, a 4-inch WVGA Super AMOLED display with 480 x 800 pixels resolution, 1.3-megapixel front facing camera and 5-megapixel autofocus rear camera, while the other interfaces and connectivity include Bluetooth, WiFi, USB 2.0 and a microSD card slot supporting 32GB, moreover, the Android phone uses a 1500mAh rechargeable battery. Apart from that, Samsung Galaxy S Advance supports HSPA 14Mbps 850/900/1900/2100 and EDGE/GPRS 850/900/1800/1900. At present, Samsung hasn’t unveiled the price and the release date of Samsung Galaxy S Advance Android phone so we have to wait patiently for more info from Samsung official site. its good i want that what is the cost for that. when will it have in philippines? samsung is a fine phone but the battery problem they face is my major concern. Well its good, but i am afraid China Guys might begging devloping thier own which i’m pretty sure will be of less quality! They are very nice phones. How can I get on to buy from Ghana and at what price ? We’re so sorry. We’re not sure how to get it in Ghana, but maybe you could go to the local carriers for it. Daniel tell Shady to take flight from Ghana to Nigeria, he will surely get one at a giveway price! Note: He should be carefull not to match on a Bomb when working by road, and keep his head up so that he can see if another Dana plane is crashing oo! Vise necu da ulazim na vas web site jer kade otvorim gadi mi se da vidim politicara koji mi kaze Za sigurnu buducnost. Jebite se zajedno sa njim. Nisam ovde da mi neko ispira mozak nego da se informisem o telefonima, Nabijem vas na kurac.